So that was an odd, out-of-the-blue comment on my Twitter feed recently. It was in response to posts I’d made back in November regarding the LGBT contingent in Porterville’s Veteran’s Day Parade. 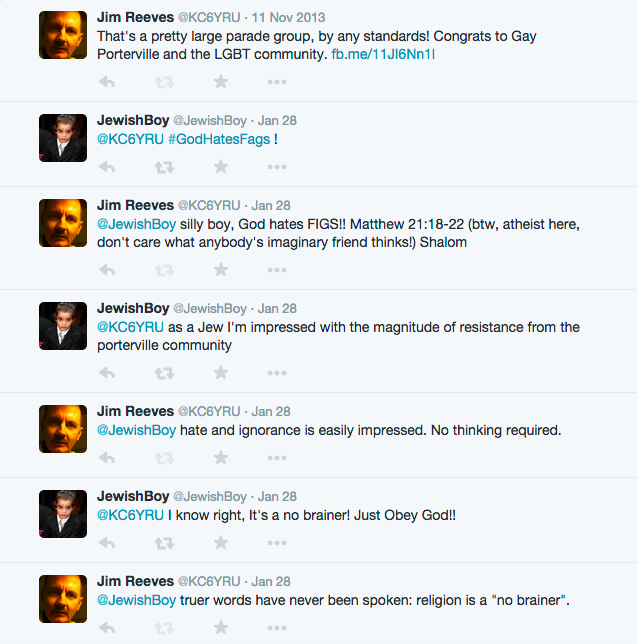 JewishBoy must have been trolling old commentary looking for ways to spread the good word. 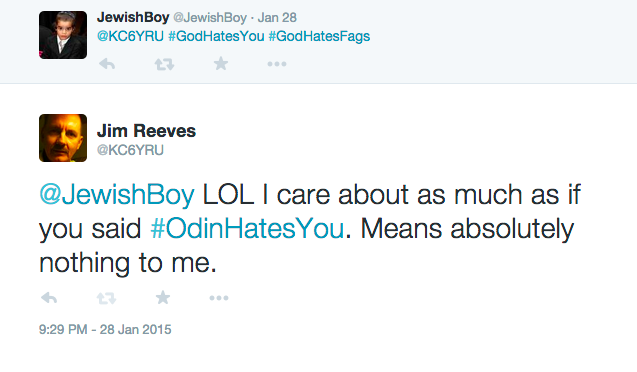 He finished up with the “good news” that God hates me. A fig to JewishBoy! Let him eat his own hate, and get amazingly awful indigestion from this, or worse.